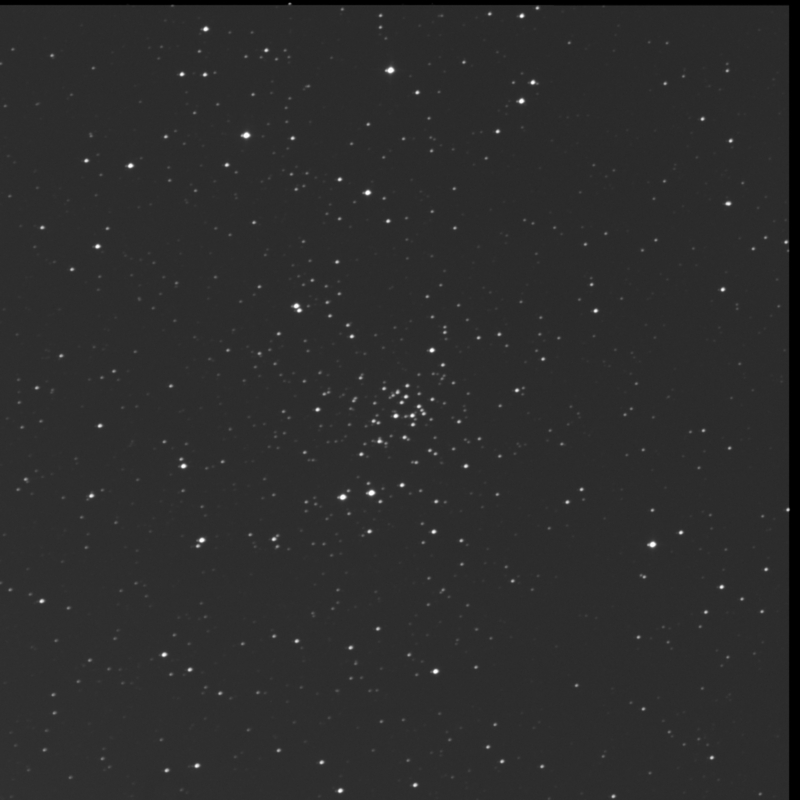 The Burke Gaffney Observatory robot imaged NGC 1907 aka Collinder 66 for me. 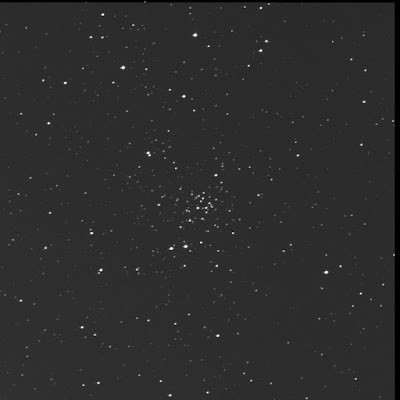 An open globular cluster in Auriga, just south of Messier 38. An item I wanted to view again. BGO happened to shoot it on my Happy Orbit Day. Thank you! A small collection, a compact OC, harbouring a multi-star system. While it is not a great image, it was a nice treat. Seems I had first viewed this object, in passing, in March 2013. Did not make a very detailed note. SEI 268, a five-element star system, is buried in the middle of the cluster. There's a line of three similar, equally spaced stars: that's the A, B, and C stars, from north to south. The bright star to the east is D. The dimmer star to the west is F, opposite D, slightly further away. SkyTools does not show an E star. Above and left, or to the north-east, is the double star HJ 699. The brighter star is further afield. Had another go on 20 Dec '16.